Isn’t saori a type of Indian dress? No, you’re thinking of ‘sari’! 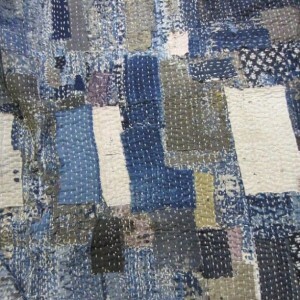 ‘Saori’ is a form of freeform hand weaving from Japan. It is also the brandname for a type of loom specially designed for this style of weaving, although you can practice Saori weaving on any loom. Saori looms just make weaving a bit easier and more accessible for people of all ages and abilities. They are quick to set up and come with great features; such as prewound warp and an integral bobbin winder. What is the philosophy behind Saori weaving? Saori weaving is weaving with no rules or restrictions. Weavers express themselves with complete freedom and creativity. How is Saori weaving different from conventional weaving? 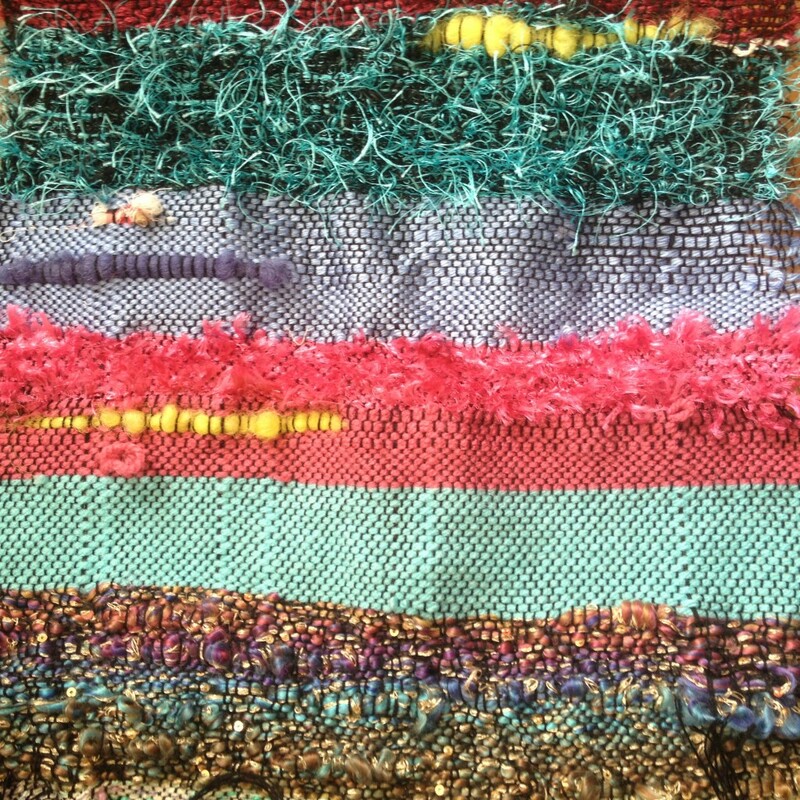 Saori weaving is about self-expression rather than technique. Of course you are free to experiment with different techniques, but the beauty in Saori weaving comes from the individual’s personality. Every piece is unique – a reflection of the mood that the creator is in at that moment in time. There is no forward planning involved, other than choosing the warp and yarns for the weft and then just weaving in the moment. How did you come across Saori? 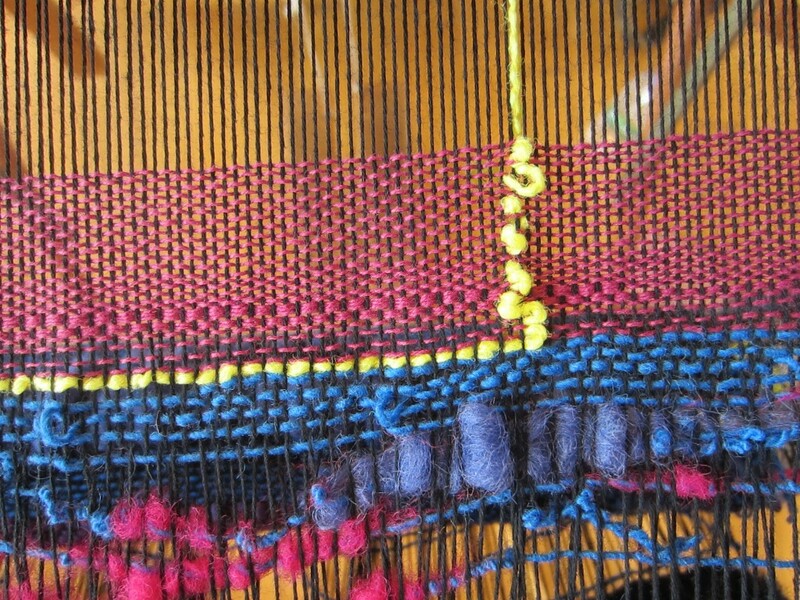 Saori weaving is addictive – I could sit at the loom all day! Our house is decorated head to toe with wall hangings, table runners and coasters. For my mother’s birthday this September, I made her a one-of-a-kind Saori jacket. I had never made clothes before I started weaving, but now I am enjoying transforming my Saori cloth into wearable art: dresses, vest tops, gilets etc. Clothes made using Saori woven cloth are unique and beautiful. They reflect the personality of the maker and are art pieces in their own right. They look stunning, whether worn, hung over a chair, on a hanger or on the wall! Where do you want to go with Saori weaving – what’s next for you? I am experimenting with different yarns, and I want to incorporate my love of indigo and natural dyes into my work. I’m also interested in making some three-dimensional pieces with wire, and it would be fantastic to hold an exhibition of Saori Weavings. Watch this space! At the moment I am planning workshops and classes; I already have a regular Tuesday slot at the Whitchurch Silk Mill in Hampshire. I see Saori as a wonderful way to encourage creativity in people of all ages, I would like to take my looms to schools and community events, where people can come together to produce collaborative weavings. My next goal is to set up an open studio – a nuturing space for people to weave, express their creativity and meet other artists. When you make anything by hand it becomes a part of you and your story. I am hugely inspired by ‘Boro’, which is a collective name for textiles made by poor people in Japan, at a time when cloth was very precious and every scrap had to be used and reused. There is such beauty and ingenuity in this cloth, and I feel a connection with the women who had to grow the hemp, thresh and spin it, dye and weave the cloth. When garments wore out they were darned, patched and repurposed. I think we could take something from that in this modern era. Cloth should be valued and respected. What could the fashion industry learn from the ethos of Saori? Saori is the complete opposite of the fashion industry, which depends on mass-produced goods, trends and everyone wanting to look the same! Only in very high end fashion is it possible to produce handmade and therefore unique clothing. The wonderful thing about Saori weaving is that unique fashion is accessible to all, even if you have very little training or experience of dressmaking. 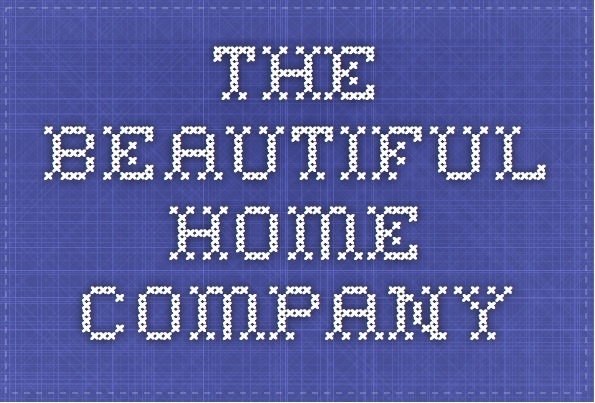 What advice would you give somebody who wants to get into weaving or making clothes, but doesn’t know where to start? There is a lot out there on the internet – YouTube videos, free workshops and tutorials, books and classes. There are also the Guilds – the Embroiderer’s Guild and Guild of Weavers, Spinners and Dyers – with groups all over the country. They hold regular workshops, talks and demos. For those who want to have a go at Saori, you’re always welcome at the Whitchurch Silk Mill, where I do demos every Tuesday. We also have frequent workshops taking place, where you can learn the techniques and create something beautiful to take home.